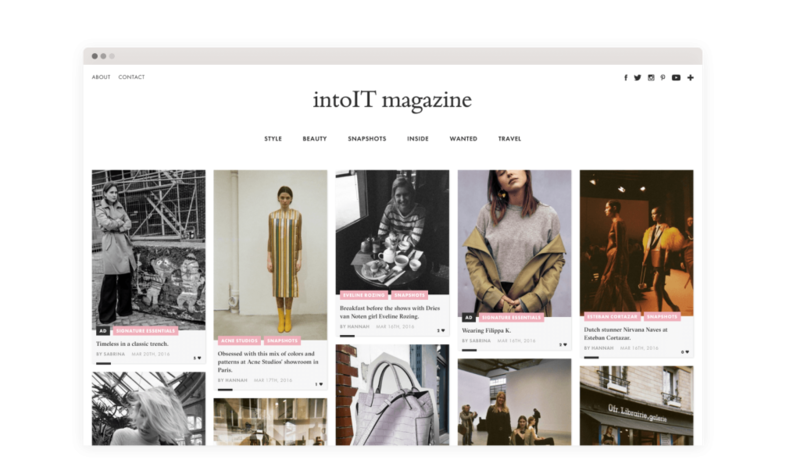 After 8 years leading one of the most successful fashion blog in the Netherlands, Sabrina Meijer started a new adventure: intoIT. 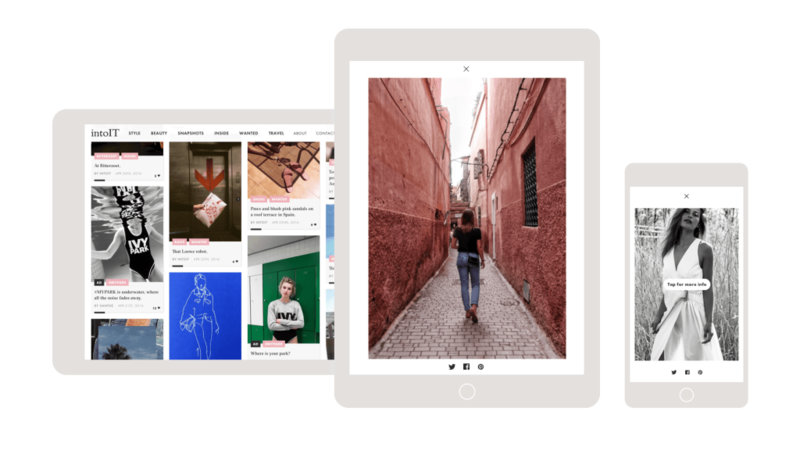 The new fashion online platform, completely photography based is a collection of thoughts and projects on fashion and aesthetic, with contributors from all over the world. 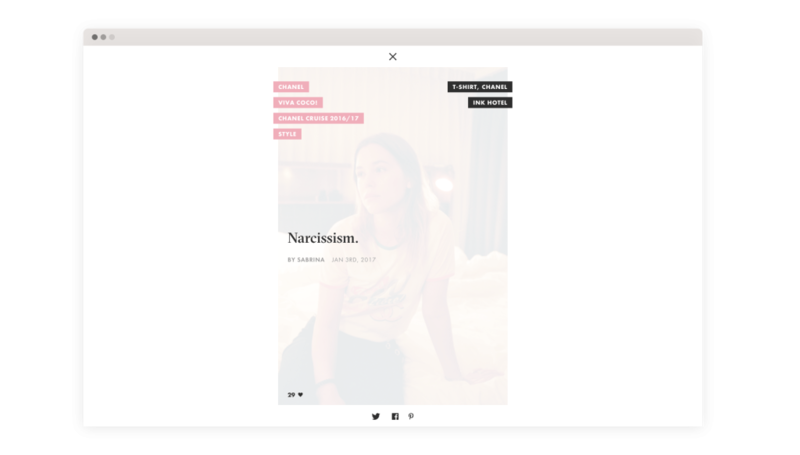 Staying away from the usual blog layout, I created this new website as a buzzing place, a flow of content she could easily and frequently. A modern approach of content, simple, minimalistic yet stylish, the Sabrina touch.